Deism (‍ or ), derived from the Latin word "Deus" meaning "God", is a theological/philosophical position that combines the rejection of revelation and authority as a source of religious knowledge with the conclusion that reason and observation of the natural world are sufficient to determine the existence of a single creator of the universe. Deism gained prominence among intellectuals during the Trinity, Biblical inerrancy and the supernatural interpretation of events such as miracles. Included in those influenced by its ideas were leaders of the American and French Revolutions. Deism is a theological theory concerning the relationship between "the Creator" and the natural world. Deistic viewpoints emerged during the scientific revolution of 17th-century Europe and came to exert a powerful influence during the eighteenth century enlightenment. Deism stood between the narrow dogmatism of the period and skepticism. Though deists rejected atheism, they often were called "atheists" by more traditional theists. There were a number of different forms in the 17th and 18th century. In England, deism included a range of people from anti-Christian to un-Christian theists. For Deists, human beings can know God only via reason and the observation of nature, but not by revelation or supernatural manifestations (such as miracles) – phenomena which Deists regard with caution if not skepticism. See the section Features of deism, following. Deism is related to naturalism because it credits the formation of life and the universe to a higher power, using only natural processes. Deism may also include a spiritual element, involving experiences of God and nature. The words deism and theism are both derived from words for god: the former from Latin deus, the latter from Greek theós (θεός). Prior to the 17th century the terms ["deism" and "deist"] were used interchangeably with the terms "theism" and "theist", respectively. ... Theologians and philosophers of the seventeenth century began to give a different signification to the words... Both [theists and deists] asserted belief in one supreme God, the Creator... . But the theist taught that God remained actively interested in and operative in the world which he had made, whereas the Deist maintained that God endowed the world at creation with self-sustaining and self-acting powers and then surrendered it wholly to the operation of these powers acting as second causes. There are many who confess that while they believe like the Turks and the Jews that there is some sort of God and some sort of deity, yet with regard to Jesus Christ and to all that to which the doctrine of the Evangelists and the Apostles testify, they take all that to be fables and dreams... I have heard that there are of this band those who call themselves Deists, an entirely new word, which they want to oppose to Atheist. For in that atheist signifies a person who is without God, they want to make it understood that they are not at all without God, since they certainly believe there is some sort of God, whom they even recognize as creator of heaven and earth, as do the Turks; but as for Jesus Christ, they only know that he is and hold nothing concerning him nor his doctrine. In England, the term deist first appeared in Robert Burton's The Anatomy of Melancholy (1621). Lord Herbert of Cherbury (1583–1648) is generally considered the "father of English Deism", and his book De Veritate (1624) the first major statement of deism. Deism flourished in England between 1690 and 1740, at which time Matthew Tindal's Christianity as Old as the Creation (1730), also called "The Deist's Bible", gained much attention. 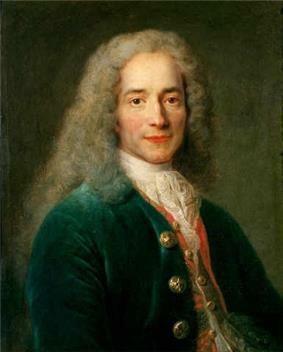 Later deism spread to France, notably through the work of Voltaire, to Germany, and to the United States. The concept of deism covers a wide variety of positions on a wide variety of religious issues. Sir Leslie Stephen's English Thought in the Eighteenth Century describes the core of deism as consisting of "critical" and "constructional" elements. Rejection of religions that are based on books that claim to contain the revealed word of God. Individual deists varied in the set of critical and constructive elements for which they argued. Some deists rejected miracles and prophecies but still considered themselves Christians because they believed in what they felt to be the pure, original form of Christianity – that is, Christianity as it supposedly existed before it was corrupted by additions of such superstitions as miracles, prophecies, and the doctrine of the Trinity. Some deists rejected the claim of Jesus' divinity but continued to hold him in high regard as a moral teacher (see, for example, Thomas Jefferson's famous Jefferson Bible and Matthew Tindal's Christianity as Old as the Creation). Other, more radical deists rejected Christianity altogether and expressed hostility toward Christianity, which they regarded as pure superstition. In return, Christian writers often charged radical deists with atheism. All Deists were in fact both critical and constructive Deists. All sought to destroy in order to build, and reasoned either from the absurdity of Christianity to the need for a new philosophy or from their desire for a new philosophy to the absurdity of Christianity. Each Deist, to be sure, had his special competence. While one specialized in abusing priests, another specialized in rhapsodies to nature, and a third specialized in the skeptical reading of sacred documents. Yet whatever strength the movement had—and it was at times formidable—it derived that strength from a peculiar combination of critical and constructive elements. It should be noted, however, that the constructive element of deism was not unique to deism. It was the same as the natural theology that was so prevalent in all English theology in the 17th and 18th centuries. What set deists apart from their more orthodox contemporaries were their critical concerns. Defining the essence of English deism is a formidable task. Like priestcraft, atheism, and freethinking, deism was one of the dirty words of the age. Deists were stigmatized – often as atheists – by their Christian opponents. Yet some Deists claimed to be Christian, and as Leslie Stephen argued in retrospect, the Deists shared so many fundamental rational suppositions with their orthodox opponents... that it is practically impossible to distinguish between them. But the term deism is nevertheless a meaningful one.... Too many men of letters of the time agree about the essential nature of English deism for modern scholars to ignore the simple fact that what sets the Deists apart from even their most latitudinarian Christian contemporaries is their desire to lay aside scriptural revelation as rationally incomprehensible, and thus useless, or even detrimental, to human society and to religion. While there may possibly be exceptions, ... most Deists, especially as the eighteenth century wears on, agree that revealed Scripture is nothing but a joke or "well-invented flam." About mid-century, John Leland, in his historical and analytical account of the movement [View of the Principal Deistical Writers], squarely states that the rejection of revealed Scripture is the characteristic element of deism, a view further codified by such authorities as Ephraim Chambers and Samuel Johnson. ... "DEISM," writes Stephens bluntly, "is a denial of all reveal'd Religion." M. Paul Hazard has recently described the Deists of this time 'as rationalists with nostalgia for religion': men, that is, who had allowed the spirit of the age to separate them from orthodoxy, but who liked to believe that the slope they had started upon was not slippery enough to lead them to atheism. By natural religion, I understand the belief of the existence of a God, and the sense and practice of those duties which result from the knowledge we, by our reason, have of him and his perfections; and of ourselves, and our own imperfections, and of the relationship we stand in to him, and to our fellow-creatures; so that the religion of nature takes in everything that is founded on the reason and nature of things. I hope to make it appear that the use of reason is not so dangerous in religion as it is commonly represented ... There is nothing that men make a greater noise about than the "mysteries of the Christian religion". The divines gravely tell us "we must adore what we cannot comprehend" ... [Some] contend [that] some mysteries may be, or at least seem to be, contrary to reason, and yet received by faith. [Others contend] that no mystery is contrary to reason, but that all are "above" it. On the contrary, we hold that reason is the only foundation of all certitude ... Wherefore, we likewise maintain, according to the title of this discourse, that there is nothing in the Gospel contrary to reason, nor above it; and that no Christian doctrine can be properly called a mystery. The effects we acknowledge naturally, do include a power of their producing, before they were produced; and that power presupposeth something existent that hath such power; and the thing so existing with power to produce, if it were not eternal, must needs have been produced by somewhat before it, and that again by something else before that, till we come to an eternal, that is to say, the first power of all powers and first cause of all causes; and this is it which all men conceive by the name of God, implying eternity, incomprehensibility, and omnipotence. Most deists (see for instance Matthew Tindal's Christianity as Old as the Creation and Thomas Paine's The Age of Reason) saw the religions of their day as corruptions of an original, pure religion that was simple and rational. They felt that this original pure religion had become corrupted by "priests" who had manipulated it for personal gain and for the class interests of the priesthood in general. As priestcraft was always the enemy of knowledge, because priestcraft supports itself by keeping people in delusion and ignorance, it was consistent with its policy to make the acquisition of knowledge a real sin. It can't be imputed to any defect in the light of nature that the pagan world ran into idolatry, but to their being entirely governed by priests, who pretended communication with their gods, and to have thence their revelations, which they imposed on the credulous as divine oracles. Whereas the business of the Christian dispensation was to destroy all those traditional revelations, and restore, free from all idolatry, the true primitive and natural religion implanted in mankind from the creation. One implication of this deist creation myth was that primitive societies, or societies that existed in the distant past, should have religious beliefs that are less encrusted with superstitions and closer to those of natural theology. This position gradually became less plausible as thinkers such as David Hume began studying the natural history of religion and suggesting that the origins of religion lay not in reason but in the emotions, specifically the fear of the unknown. Still others such as Anthony Collins, Bolingbroke, Thomas Chubb, and Peter Annet were materialists and either denied or doubted the immortality of the soul. Deistic thinking has existed since ancient times. Among the Ancient Greeks, Heraclitus conceived of a logos, a supreme rational principle, and said the wisdom "by which all things are steered through all things" was "both willing and unwilling to be called Zeus (God)". Plato envisaged God as a Demiurge or 'craftsman'. Outside ancient Greece many other cultures have expressed views that resemble deism in some respects. However, the word "deism", as it is understood today, is generally used to refer to the movement toward natural theology or freethinking that occurred in 17th-century Europe, and specifically in Britain. The humanist tradition of the Renaissance included a revival of interest in Europe's classical past in ancient Greece and Rome. The veneration of that classical past, particularly pre-Christian Rome, the new availability of Greek philosophical works, the successes of humanism and natural science along with the fragmentation of the Christian churches and increased understanding of other faiths, all helped erode the image of the church as the unique source of wisdom, destined to dominate the whole world. In addition, study of classical documents led to the realization that some historical documents are less reliable than others, which led to the beginnings of biblical criticism. In particular, when scholars worked on biblical manuscripts, they began developing the principles of textual criticism and a view of the New Testament being the product of a particular historical period different from their own. "Life and works of Confucius", by Prospero Intorcetta, 1687. In addition to discovering diversity in the past, Europeans discovered diversity in the present. The voyages of discovery of the 16th and 17th centuries acquainted Europeans with new and different cultures in the Americas, in Asia, and in the Pacific. They discovered a greater amount of cultural diversity than they had ever imagined, and the question arose of how this vast amount of human cultural diversity could be compatible with the biblical account of Noah's descendants. 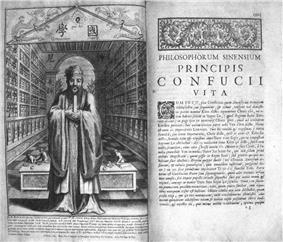 In particular, the ideas of Confucius, translated into European languages by the Jesuits stationed in China, are thought to have had considerable influence on the deists and other philosophical groups of the Enlightenment who were interested by the integration of the system of morality of Confucius into Christianity. Many faiths or religions, clearly, exist or once existed in various countries and ages, and certainly there is not one of them that the lawgivers have not pronounced to be as it were divinely ordained, so that the Wayfarer finds one in Europe, another in Africa, and in Asia, still another in the very Indies. Early works of biblical criticism, such as Thomas Hobbes's Leviathan and Spinoza's Theologico-Political Treatise, as well as works by lesser-known authors such as Richard Simon and Isaac La Peyrère, paved the way for the development of critical deism. An important precursor to deism was the work of Lord Edward Herbert of Cherbury (d. 1648). He has been called the "father of English deism", and his book De Veritate (On Truth, as It Is Distinguished from Revelation, the Probable, the Possible, and the False) (1624) "the first major statement of deism". However, his beliefs in divine intervention, particularly in response to prayer, are at odds with the basic ideas of deism. 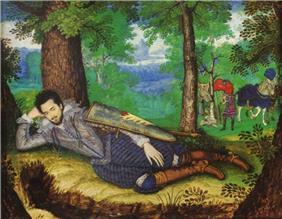 In Herbert's account of one incident, he prayed "I am not satisfied enough whether I shall publish this Book, De Veritate; if it be for Thy glory, I beseech Thee give me some Sign from Heaven, if not, I shall suppress it" and recounts that the response was "a loud tho' yet gentle Noise came from the Heavens (for it was like nothing on Earth)... I had the Sign I demanded". Like his contemporary Descartes, Herbert searched for the foundations of knowledge. In fact, the first two thirds of De Veritate are devoted to an exposition of Herbert's theory of knowledge. Herbert distinguished truths obtained through experience, and through reasoning about experience, from innate truths and from revealed truths. Innate truths are imprinted on our minds, and the evidence that they are so imprinted is that they are universally accepted. Herbert's term for universally accepted truths was notitiae communes – common notions. No general agreement exists concerning the Gods, but there is universal recognition of God. Every religion in the past has acknowledged, every religion in the future will acknowledge, some sovereign deity among the Gods. ... Accordingly that which is everywhere accepted as the supreme manifestation of deity, by whatever name it may be called, I term God. While there is no general agreement concerning the worship of Gods, sacred beings, saints, and angels, yet the Common Notion or Universal Consent tells us that adoration ought to be reserved for the one God. Hence divine religion— and no race, however savage, has existed without some expression of it— is found established among all nations. ... The connection of Virtue with Piety, defined in this work as the right conformation of the faculties, is and always has been held to be, the most important part of religious practice. There is no general agreement concerning rites, ceremonies, traditions...; but there is the greatest possible consensus of opinion concerning the right conformation of the faculties. ... Moral virtue... is and always has been esteemed by men in every age and place and respected in every land... There is no general agreement concerning the various rites or mysteries which the priests have devised for the expiation of sin.... General agreement among religions, the nature of divine goodness, and above all conscience, tell us that our crimes may be washed away by true penitence, and that we can be restored to new union with God. ... I do not wish to consider here whether any other more appropriate means exists by which the divine justice may be appeased, since I have undertaken in this work only to rely on truths which are not open to dispute but are derived from the evidence of immediate perception and admitted by the whole world. The rewards that are eternal have been variously placed in heaven, in the stars, in the Elysian fields... Punishment has been thought to lie in metempsychosis, in hell,... or in temporary or everlasting death. But all religion, law, philosophy, and ... conscience, teach openly or implicitly that punishment or reward awaits us after this life. ... [T]here is no nation, however barbarous, which has not and will not recognise the existence of punishments and rewards. That reward and punishment exist is, then, a Common Notion, though there is the greatest difference of opinion as to their nature, quality, extent, and mode. It follows from these considerations that the dogmas which recognize a sovereign Deity, enjoin us to worship Him, command us to live a holy life, lead us to repent our sins, and warn us of future recompense or punishment, proceed from God and are inscribed within us in the form of Common Notions. Revealed truth exists; and it would be unjust to ignore it. But its nature is quite distinct from the truth [based on Common Notions] ... [T]he truth of revelation depends upon the authority of him who reveals it. We must, then, proceed with great care in discerning what actually is revealed.... [W]e must take great care to avoid deception, for men who are depressed, superstitious, or ignorant of causes are always liable to it. — Lord Herbert of Cherbury, De Veritate, quoted in Gay, Deism: An Anthology, pp. 29 ff. According to Gay, Herbert had relatively few followers, and it was not until the 1680s that Herbert found a true successor in Charles Blount (1654–1693). Blount made one special contribution to the deist debate: "by utilizing his wide classical learning, Blount demonstrated how to use pagan writers, and pagan ideas, against Christianity. ... Other Deists were to follow his lead." Peter Gay places the zenith of deism "from the end of the 1690s, when the vehement response to John Toland's Christianity Not Mysterious (1696) started the deist debate, to the end of the 1740s when the tepid response to Conyers Middleton's Free Inquiry signalled its close." Among the Deists, only Anthony Collins (1676–1729) could claim much philosophical competence; only Conyers Middleton (1683–1750) was a really serious scholar. The best known Deists, notably John Toland (1670–1722) and Matthew Tindal (1656–1733), were talented publicists, clear without being deep, forceful but not subtle. ... Others, like Thomas Chubb (1679–1747), were self-educated freethinkers; a few, like Thomas Woolston (1669–1731), were close to madness. During this period, prominent British deists included William Wollastson, Charles Blount, and Henry St John, First Viscount Bolingbroke. The influential author Anthony Ashley-Cooper, Third Earl of Shaftesbury is also usually categorized as a deist. Although he did not think of himself as a deist, he shared so many attitudes with deists that Gay calls him "a Deist in fact, if not in name". Notable late-classical deists include Peter Annet (1693–1769), Thomas Chubb (1679–1747), Thomas Morgan (?–1743), and Conyers Middleton (1683–1750). Especially noteworthy is Matthew Tindal's Christianity as Old as the Creation (1730), which "became, very soon after its publication, the focal center of the deist controversy. Because almost every argument, quotation, and issue raised for decades can be found here, the work is often termed 'the deist's Bible'." Following Locke's successful attack on innate ideas, Tindal's "Deist Bible" redefined the foundation of deist epistemology as knowledge based on experience or human reason. This effectively widened the gap between traditional Christians and what he called "Christian Deists", since this new foundation required that "revealed" truth be validated through human reason. 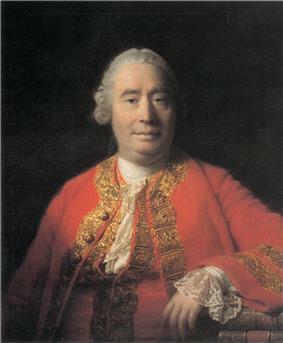 The writings of David Hume are sometimes credited with causing or contributing to the decline of deism. English deism, however, was already in decline before Hume's works on religion (1757,1779) were published. Furthermore, some writers maintain that Hume's writings on religion were not very influential at the time that they were published. Nevertheless, modern scholars find it interesting to study the implications of his thoughts for deism. Hume's skepticism about miracles makes him a natural ally of deism. His skepticism about the validity of natural religion cuts equally against deism and deism's opponents, who were also deeply involved in natural theology. But his famous Dialogues Concerning Natural Religion were not published until 1779, by which time deism had almost vanished in England. In the Natural History of Religion (1757), Hume contends that polytheism, not monotheism, was "the first and most ancient religion of mankind". In addition, contends Hume, the psychological basis of religion is not reason, but fear of the unknown. The primary religion of mankind arises chiefly from an anxious fear of future events; and what ideas will naturally be entertained of invisible, unknown powers, while men lie under dismal apprehensions of any kind, may easily be conceived. Every image of vengeance, severity, cruelty, and malice must occur, and must augment the ghastliness and horror which oppresses the amazed religionist. ... And no idea of perverse wickedness can be framed, which those terrified devotees do not readily, without scruple, apply to their deity. The clear reasonableness of natural religion disappeared before a semi-historical look at what can be known about uncivilized man— "a barbarous, necessitous animal," as Hume termed him. Natural religion, if by that term one means the actual religious beliefs and practices of uncivilized peoples, was seen to be a fabric of superstitions. Primitive man was no unspoiled philosopher, clearly seeing the truth of one God. And the history of religion was not, as the deists had implied, retrograde; the widespread phenomenon of superstition was caused less by priestly malice than by man's unreason as he confronted his experience. Experts dispute whether Hume was a deist, an atheist, or something else. 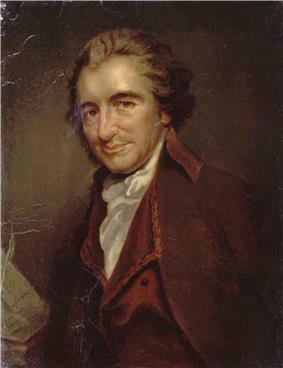 Hume himself was uncomfortable with the terms deist and atheist, and Hume scholar Paul Russell has argued that the best and safest term for Hume's views is irreligion. Kant's identification with deism is controversial. An argument in favor of Kant as deist is Alan Wood's "Kant's Deism," in P. Rossi and M. Wreen (eds. ), Kant's Philosophy of Religion Re-examined (Bloomington: Indiana University Press, 1991); an argument against Kant as deist is Stephen Palmquist's "Kant's Theistic Solution". ^ a b See the entry for "Deism" in the on-line Dictionary of the History of Ideas. ^ Champion maintains that historical argument was a central component of the Deists's defences of what they considered true religion. ^ The discussion of the background of deism is based on the excellent summary in "The Challenge of the Seventeenth Century" in The Historical Jesus Question by Gregory W. Dawes (Westminster: John Knox Press, 2001). Good discussions of individual deist writers can be found in The Seventeenth Century Background and The Eighteenth Century Background by Basil Willey. ^ Herbert, The Life of Edward Lord Herbert of Cherbury (Dublin, 1771), 244–245, as cited in Waligore p. 189. Charles Taylor, in his 2007 book A Secular Age, showed the historical role of deism, leading to what he calls an exclusive humanism. This humanism invokes a moral order, whose ontic commitment is wholly intra-human, with no reference to transcendence. One of the special achievements of such deism-based humanism is that it discloses new, anthropocentric moral sources by which human beings are motivated and empowered to accomplish acts of mutual benefit. This is the province of a buffered, disengaged self, which is the locus of dignity, freedom and discipline, and is endowed with a sense of human capability. According to Taylor, by the early 19th century this deism-mediated exclusive humanism developed as an alternative to Christian faith in a personal God and an order of miracles and mystery. Some deists do not believe in divine intervention, but still find value in prayer as a form of meditation, self-cleansing, and spiritual renewal. Such prayers are often appreciative (that is, "Thank you for ...") rather than supplicative (that is, "Please, God, grant me ..."). Some deists practice meditation and make frequent use of Affirmative Prayer, a non-supplicative form of prayer which is common in the New Thought movement. A 1995 news article includes an early usage of the term by Jim Garvin, a Vietnam veteran who became a Trappist monk in the Holy Cross Abbey of Berryville, Virginia, and went on to lead the economic development of Phoenix, Arizona. Despite his Roman Catholic post, Garvin described his spiritual position as "pandeism' or 'pan-en-deism,' something very close to the Native American concept of the all-pervading Great Spirit..."
Panendeism combines deism with panentheism, the belief that the universe is part of God, but not all of God. A component of panendeism is "experiential metaphysics" – the idea that a mystical component exists within the framework of panendeism, allowing the seeker to experience a relationship to Deity through meditation, prayer or some other type of communion. This is a major departure from classical deism. There are a number of subcategories of modern deism, including monodeism (this being the default standard concept of deism), polydeism, pandeism, panendeism, spiritual deism, process deism, Christian deism, scientific deism, and humanistic deism. Some deists see design in nature and purpose in the universe and in their lives (Prime Designer). Others see God and the universe in a co-creative process (Prime Motivator). Some deists view God in classical terms and see God as observing humanity but not directly intervening in our lives (Prime Observer), while others see God as a subtle and persuasive spirit who created the world, but then stepped back to observe (Prime Mover). In 2010, the Church of Deism was formed in an effort to extend the legal rights and privileges of more traditional religions to Deists while maintaining an absence of established dogma and ritual. In 2009, the World Union of Deists published a book on deism, Deism: A Revolution in Religion, A Revolution in You written by its founder and director, Bob Johnson. This book focuses on what deism has to offer both individuals and society. The Positive Deism movement began in 2004. As has been stated above, historically and to the present day, Deists have been very critical of the revealed religions as well as trying to be constructive. Positive Deists focus their efforts solely on being constructive and avoid criticism of other faiths. In 2009 Chuck Clendenen, one of its adherents, published a book entitled "Deist: So that's what I am!". The aim of the book was to educate those who believed similarly, but did not know the words Deism and Deist, that there is a name for their belief. 1996 saw the first Web site dedicated to deism with the WUD site Deism.com. In 1998, Sullivan-County.com was originally the Virginia/Tennessee affiliate of WUD and the second deism site on the Web. It split from Deism.com to promote more traditional and historical Deist beliefs and history. In 1993, Bob Johnson established the first Deist organization since the days of Thomas Paine and Elihu Palmer with the World Union of Deists. The WUD offered the monthly hardcopy publication THINK! Currently the WUD offers two online Deist publications, THINKonline! and Deistic Thought & Action! As well as using the Internet for spreading the Deist message, the WUD is also conducting a direct mail campaign. Some modern deists have modified this classical view and believe that humanity's relationship with God is transpersonal, which means that God transcends the personal/impersonal duality and moves beyond such human terms. Also, this means that it makes no sense to state that God intervenes or does not intervene, as that is a human characteristic which God does not contain. Modern deists believe that they must continue what the classical deists started and continue to use modern human knowledge to come to understand God, which in turn is why a human-like God that can lead to numerous contradictions and inconsistencies is no longer believed in and has been replaced with a much more abstract conception. Contemporary deism attempts to integrate classical deism with modern philosophy and the current state of scientific knowledge. This attempt has produced a wide variety of personal beliefs under the broad classification of belief of "deism". The Modern Deism web site includes one list of the unofficial tenets of modern deism. Commentators have suggested a variety of reasons for the decline of classical deism. It is probably more accurate, however, to say that deism evolved into, and contributed to, other religious movements. The term deist became rarely used, but deist beliefs, ideas, and influences remained. They can be seen in 19th-century liberal British theology and in the rise of Unitarianism, which adopted many of deism's beliefs and ideas. After the writings of Woolston and Tindal, English deism went into slow decline. ... By the 1730s, nearly all the arguments in behalf of Deism ... had been offered and refined; the intellectual caliber of leading Deists was none too impressive; and the opponents of deism finally mustered some formidable spokesmen. The Deists of these decades, Peter Annet (1693–1769), Thomas Chubb (1679–1747), and Thomas Morgan (?–1743), are of significance to the specialist alone. ... It had all been said before, and better. .
Deism is generally considered to have declined as an influential school of thought by around 1800. For his part, Thomas Jefferson is perhaps one of the Founding Fathers with the most outspoken of Deist tendencies, though he is not known to have called himself a deist, generally referring to himself as a Unitarian. In particular, his treatment of the Biblical gospels which he titled The Life and Morals of Jesus of Nazareth, but which subsequently became more commonly known as the Jefferson Bible, exhibits a strong deist tendency of stripping away all supernatural and dogmatic references from the Christ story. However, Frazer, following the lead of Sydney Ahlstrom, characterizes Jefferson as not a Deist but a "theistic rationalist", because Jefferson believed in God's continuing activity in human affairs. Frazer cites Jefferson's Notes on the State of Virginia, where he wrote, "I tremble" at the thought that "God is just," and he warned of eventual "supernatural influence" to abolish the scourge of slavery. Benjamin Franklin wrote in his autobiography, "Some books against Deism fell into my hands; they were said to be the substance of sermons preached at Boyle's lectures. It happened that they wrought an effect on me quite contrary to what was intended by them; for the arguments of the Deists, which were quoted to be refuted, appeared to me much stronger than the refutations; in short, I soon became a thorough Deist. My arguments perverted some others, particularly Collins and Ralph; but each of them having afterwards wrong'd me greatly without the least compunction, and recollecting Keith's conduct towards me (who was another freethinker) and my own towards Vernon and Miss Read, which at times gave me great trouble, I began to suspect that this doctrine, tho' it might be true, was not very useful." Franklin also wrote that "the Deity sometimes interferes by his particular Providence, and sets aside the Events which would otherwise have been produc'd in the Course of Nature, or by the Free Agency of Man. He later stated, in the Constitutional Convention, that "the longer I live, the more convincing proofs I see of this truth -- that God governs in the affairs of men." Particularly heated is the debate over the beliefs of Benjamin Franklin, Thomas Jefferson, and  In the United States there is controversy over whether the Founding Fathers were Christians, deists, or something in between.